After appearing in Outlook.com in 2013, Skype is getting the full HTML treatment with the new Skype for Web beta. That's right: Skype is becoming a standalone web app! But don't throw out your Windows desktop just yet, Chromebook fans. Before we get too excited, Skype says the new beta web app will be rolling out very slowly to a small number of existing and new users, with a worldwide happening sometime in the coming months. To see if it's available for you, log in to your account on Skype.com and see if you've got an invite. Why this matters: Skype is a massively popular service with users racking up 2 billion minutes of chat every month on the platform. Bringing a dedicated Skype app to the web makes the service even more accessible for those times you're in front of a shared PC such as at an Internet café, hotel, or a friend's house. In its blog post announcing the new service, Skype was a little cagey about which browsers the beta of Skype for Web will work with. The Microsoft-owned service says the new web app will work with Internet Explorer, Chrome on Windows, Firefox, and Apple's Safari browser. Specifically calling out Chrome as only compatible on Windows suggests that Chrome fans using a Mac, Linux-based Chromebooks, or standard Linux distros will be left out—for now, at least. 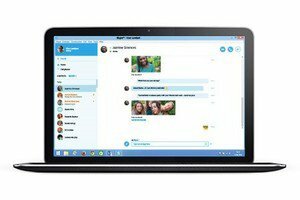 Skype says it is working hard with the Internet Explorer team to create a plugin-free WebRTC version of Skype for Web. Right now, however, the beta requires a browser plugin, according to Skype's blog post. WebRTC is a standard technology that makes browser-to-browser voice and video chat possible without the need for plugins. Everything you need will just be built into the browser. Many modern browsers already support WebRTC including Chrome, Firefox, and Opera. In late October, Microsoft announced Internet Explorer would soon support WebRTC. 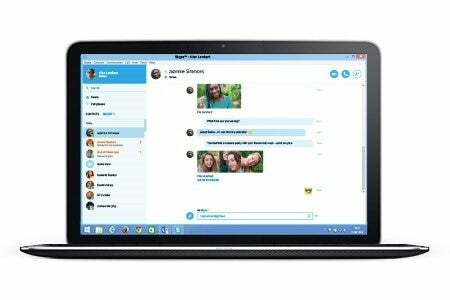 When Skype for Web does enable WebRTC, it should work just fine on Chromebooks as well. Patience, padawan! When Skype for Web does go live for you it appears it will be available at web.skype.com. Going there without an invite will only illicit a blank stare from Skype. Yeah, that emoji knows exactly what kind of shenanigans you're up to.